The opening hours will be reduced in RBSC / University Archives effective July 30 – August 31. During this time period, RBSC (including the Chung Room) / UA will be open to the public from 10am – 4pm Monday – Friday. Please direct any RBSC-related questions to rare.books@ubc.ca . Please contact Chris Hives with any concerns about University Archives accessibility. Perhaps you are wondering what it is we (student) archivists do when a new set of boxes is delivered? What actually goes on in that processing room? And why is it important? If these questions are keeping you up at night, read on for a look at the first step in processing a new accrual…. 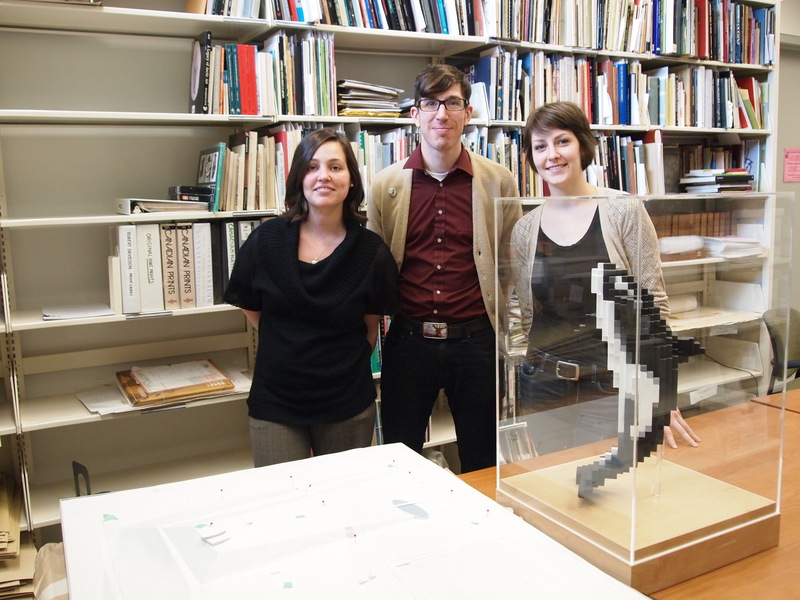 The first challenge we faced with the Douglas Coupland project was figuring out how to arrange the material. We can’t just dump it into acid-free boxes and call it day! One of the fundamental principles of archival work is respect for original order. This states that records should be organized in the order established or intended by the creator. So no alphabetizing! No rearranging by date! Why is original order important? In a nutshell, it preserves the relationships between records and any evidence that could be gleaned from those relationships. Context is key. Determining original order isn’t always easy. Sometimes the intended order gets jumbled before or during the transfer of the material to the archives. Other times, if the creator had no system of arranging their own records, there is no original order. 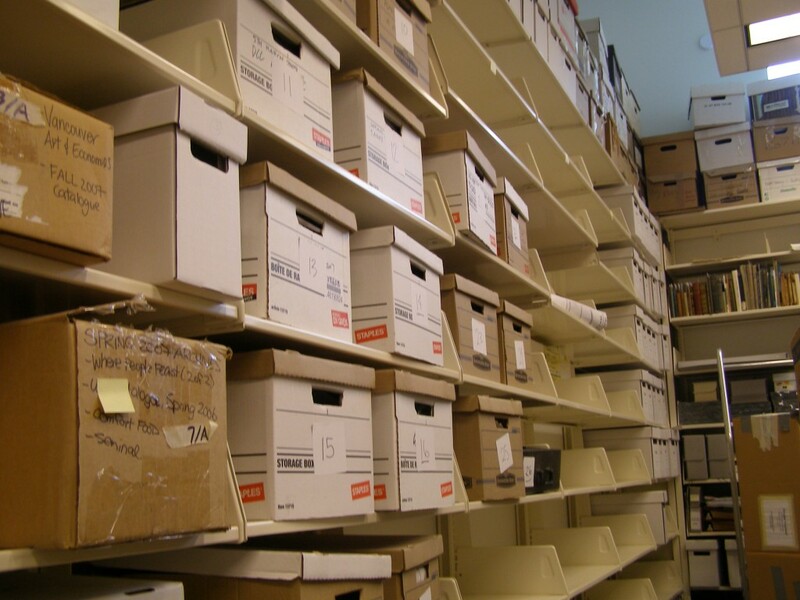 In the case of the former, archivists would spend some time analyzing the material in order to restore the original order. In the latter, archivists could impose an order to facilitate arrangement, description, and access. 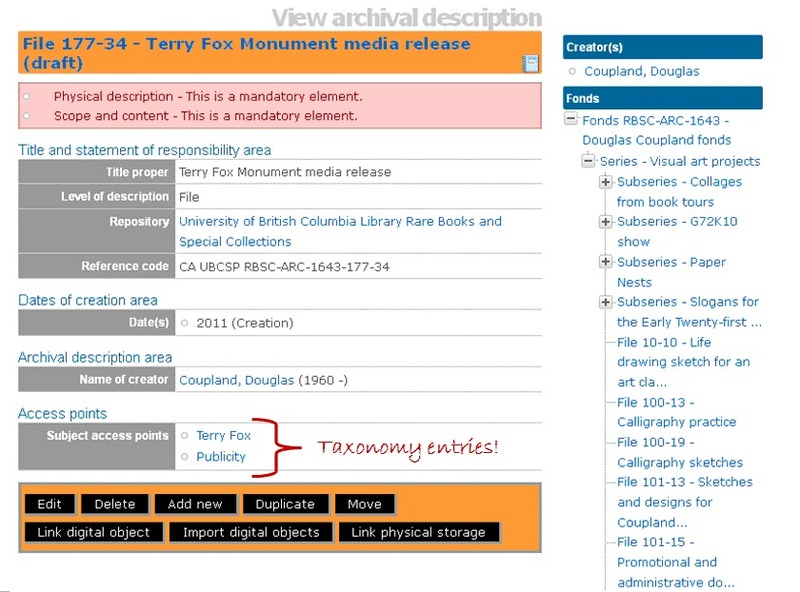 Curious to find out what a taxonomy is? Stay tuned for our next exciting blog post to find out! 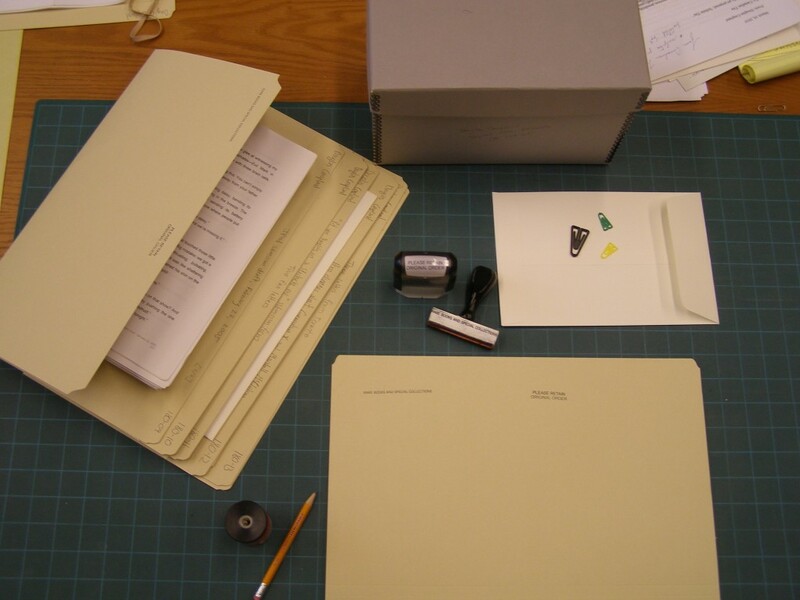 We’re very pleased to announce a recent addition (or accrual to use archival language) to the archives of Douglas Coupland (or the Douglas Coupland fonds, again to use the archival terminology). 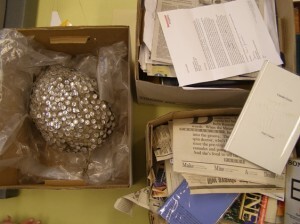 We have been very fortunate to continue our relationship with Doug Coupland since we first acquired his archives in 2008, but for the first time we have decided to shine a light on what happens to archival material between coming in the doors and being made available to users in the reading room. We think it’s particularly interesting and exciting to do this with the Douglas Coupland fonds because of the wide range of documentation he creates. We’re fortunate also to have three student archivists jointly handling this project over the summer: Dan Gillean, Laura Hebert and Sarah Hillier are all students from the School of Library, Archival and Information Studies. They will be writing posts on this blog every week or so to keep you updated on their progress. You can see all of our posts on this project by browsing for the Coupland tag on our blog. “On Thursday, June 21st a large shipment of banker’s boxes and strangely shaped packages arrived at UBC Rare Books and Special Collections. The twenty-six pieces comprise the recent accrual to the already substantial Douglas Coupland fonds. Because of Coupland’s varied range of medium (and we mean varied – everything from large-scale sculptures to screenplays to clothing lines) the contents of these boxes present many unique questions from the archival perspective. I’ve been working as a Student Archival Assistant since September of 2011, processing a large accrual from the provincial New Democratic Party. I’m particularly interested in the arrangement challenges we will encounter with this project – for example, how will we know if that flattened box of macaroni was meant for a collage, used in one of the Canada photographs, or kept as a reference item for one of his many narrative projects? What if the answer is all three? More importantly, how can we best indicate these linkages and conjectures to our patrons at RBSC? I began my work as a Student Archive Assistant at RBSC just over a year ago. In my time here I have worked on the processing of a number of fonds and collections, both of a personal and organizational nature. Of particular interest to me are the items in this accrual that are atypical in terms of what we see in Special Collections. What are the best ways to treat these items that are so far from the textual record and how can we effectively communicate their context? This post is part of our series on resources featuring the names of B.C. places used as room names in the Irving K. Barber Learning Centre. The place we would like to feature for this post is Bamfield, a community on the coast of Barkley Sound on Vancouver Island, and well known for the Bamfield Marine Sciences Centre. Suppose you want to find references in historical newspapers to Bamfield. If you search the library catalogue for serial publications and the keyword “Bamfield,” you will find that the furthest back any of our newspaper holdings published in Bamfield go are only to the 1970’s and 80’s. Besides, there could have been articles written in other B.C. towns and cities about Bamfield. As you can see, the database highlights your keywords and also gives you the name of the newspaper and the date the article is from. Click on the result to read the actual digitized article- the database will zoom in to where the highlighted word is located. For example, if you replicate this search and click on the article from the Cumberland News on October 8, 1902, you will read that the laying of the trans-Pacific cable line off the ship Colonia was about to begin from Bamfield. This marked the establishment of the Pacific Cable Board Cable Station, which would later become the site of the above-mentioned Bamfield Marine Sciences Centre. 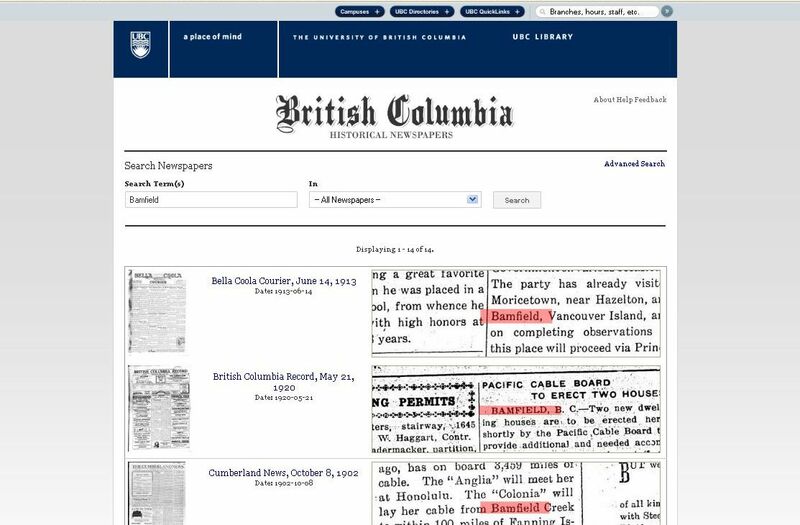 Give searching the BC Historical Newspapers a try with another British Columbia town! In the Barber Centre, the Bamfield Meeting Room is number 157, located on the first floor of the building.